Did Harvest Bible Chapel (HBC) steal money from Harvest Bible Fellowship (HBF)—its former church planting network of more than 150 independent churches? 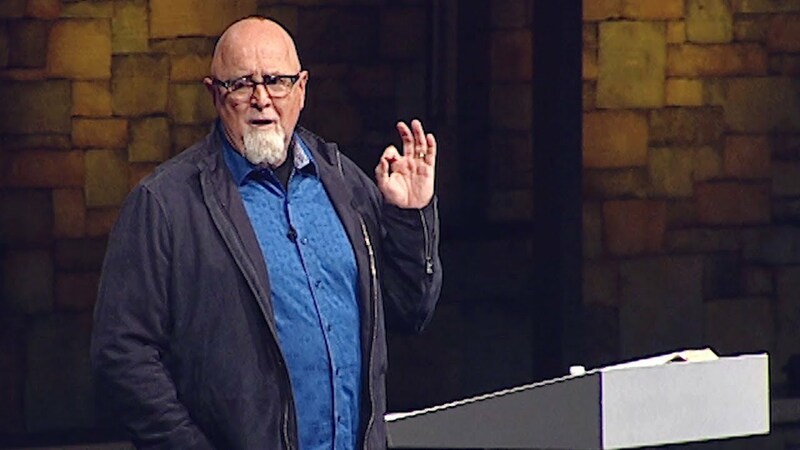 This question has dogged the Chicago-area megachurch ever since Harvest pastor, and former president of HBF, James MacDonald, abruptly disbanded the fellowship in June 2017 amid accusations of self-dealing and financial mismanagement. Technically, the church couldn’t steal from the fellowship because even though HBF was a distinct 501c3, it was a subsidiary of Harvest and controlled by HBC’s elder board. But to the independent HBF churches, which gave 5-percent of their annual contributions to the fellowship, there was an expectation that Harvest would use their money for church planting. The same went for two other groups that contributed to HBF. These included Harvest’s “40 Mighty Men,” a group of major donors who gave money to Harvest to accelerate church planting. Also contributing to HBF was the Southern Baptist Convention (SBC). Harvest is a cooperating church within the SBC, as were some of its church plants. Yet according to David Wisen, a former HBF pastor who participated in a financial review of HBF in 2017, Harvest inappropriately took at least $1.8 million dollars from the fellowship, which it has never repaid. This claim also has been reiterated by the Great Commission Collective—the church planting network formed by former HBF churches after the fellowship disbanded. Yet recently, I obtained a stunning text message from James MacDonald where he states the exact opposite. In the text, MacDonald admits that Harvest Bible Chapel charged HBF $300,000 – $350,000 more per year than was “reasonable” for “shared services.” These services included things like shared office space, and a portion of the salaries for several Harvest executives who allegedly did work for the fellowship. But MacDonald’s text includes another surprising admission. In an interview with me several weeks ago, Wisen said he doesn’t know of any HBF churches that received the promised app from Harvest. He added that MacDonald told pastors at a pastor’s retreat in February 2017, that Harvest would offer the systems upgrade and new app to HBF churches for free. Charging HBF for an upgrade that HBF churches didn’t approve, nor did they use, was misleading and wrong, Wisen said. But MacDonald’s text includes yet another disturbing revelation—one that flies in the face of something else Jeff Smith and MacDonald asserted during their interview with WORLD. In that interview, Smith claimed that “all of (HBF’s) designated funds were properly disbursed in accordance with donor specification,” and confirmed in an audit by the accounting firm Capin Crouse. As Wisen explains, this essentially is an admission that Harvest took money that donors had designated for specific purposes, put them into a common pot, and then disbursed them as the church saw fit, sometimes violating donor intent. I requested an interview with Capin Crouse to discuss how this could have happened without them noticing it, but the firm did not respond to my request. Harvest’s statement repeats what MacDonald claims in his text. That is, that MacDonald had no responsibility for the wrongdoing cited in his text, but instead, it was all the doing of former Harvest CFO Fred Adams and former Harvest COO Scott Milholland. “I do not acknowledge doing anything wrong personally in the financial area—nothing,” MacDonald writes. Similarly, MacDonald blames the systems expense on “Scott/Fred again taking advantage and answering to no one.” He also suggests that “a deceptive/criminally dishonest person” in Harvest’s information technologies department may have played a role. This likely is a reference to former CIO Jeff Parham, whom Harvest reported to authorities in October for allegedly embezzling at least $270,000 from the church. I contacted Milholland for comment, but he said he couldn’t respond because of a non-disclosure agreement with Harvest. I also emailed Adams, but he did not respond. Similarly, during the interview with WORLD, Smith said the finance committee, which Smith chairs, went over “every item in the budget,” which was then approved by the elder board. However, Earl Seals, a former Harvest elder who participated in HBF’s financial review, said that’s not true. Seals said that during the financial review, he privately asked Smith how he could have allowed HBF money to be spent so irresponsibly. Seals said Smith responded that he didn’t know about the egregious expenditures. Seals said he was shocked by Smith’s response because the elders trusted Smith to oversee HBF spending. However, Wisen said he came to the review as neither antagonist nor advocate. He came as a neutral investigator, trying to determine the facts. He added that he didn’t betray MacDonald; MacDonald and Harvest betrayed their donors. In addition to the items already mentioned, Wisen said he learned during the review that Harvest had not been contributing five-percent of its contributions to HBF like all the other HBF churches did. Wisen said when he confronted MacDonald, MacDonald claimed that Harvest’s doesn’t have to give five-percent of its contributions to HBF, but instead could use money from 40 Mighty Men or SBC to satisfy its obligation. Wisen, who is an heir to the fortune of the late Robert Van Kampen, was one of the 40 Mighty Men donors. He said he gave to 40 Mighty Men because Harvest promised the money would be used to accelerate church planting, and give more financial support to church planting pastors. He said using this money instead to offset Harvest’s giving to HBF was a violation of that promise. Similarly, Seals, another 40 Mighty Men donor, said he was offended by how Harvest spent his money too. He said he was stunned to learn that $500,000 he gave to build a pastoral retreat center at Camp Harvest in Michigan was actually used to build a “training center” that was hardly ever used. Wisen said in total, Harvest spent about $2 million of HBF money on that training center, but did so without even informing HBF pastors. Harvest also obligated HBF to lease the training center to the church for $10 a year and was using HBF funds to pay all the building’s utilities. Yet, when Camp Harvest rented the building to outside groups, the rental income went to Harvest, not HBF. A very, very special thank you to Julie Roys and the guys at TED. Harvest and its elders thought they could just defame you, and belittle you, and financially destroy you – as they have so many thousands of others over the years. But you stood up and bravely fought for righteousness and justice and truth; and did not cower when they brought their father Satan’s hammer of evil down upon you. By God’s Grace you have done a mighty and amazing work. May God richly bless you and your families for the sacrifices you have made in this struggle. And I hope you persevere and do not grow weary, their are far too many fake-elders there that have as much sin and guilt on their hands as MacDonald and his inner circle. If Harvest expects any of us to take their contrition seriously, they should start by paying all legal bills incurred by Julie, Scott, Ryan, and the WIVES. Don’t listen to em James, Your doing a swell job…keep up the good work,I’m setting up The James McDonald wing down here in Hades…Your gonna love it …although it is a little Hotter here than in Naples Florida…can’t wait to see you. I agree with most of what is said on this site, but the comment about Hades? Shame on you. The only thing more discouraging than Harvest’s leadership driving a once great church off the road is the sad collection of jeering, cheering dullards shooting their mouths off on this blog. You guys despise MacDonald for his “power”, but you guys can’t even responsibly handle the power of getting to comment on a public blog. Pity the church that you jackals show up at next. Jackals? Really? I’ve read through all the comments and I’m reading that people are shocked and concerned by the revelations. I’m also reading that there are much darker things going on with MacDonald, his sons, and the elders. Wanting these secrets to come to light, and wanting these men to be held accountable, does not mean people are doing little happy dances at their suffering. Two things can be true at one time; you can passionately call for James & company to be held accountable, while also feeling discouraged at how things have played out at Harvest. Pity the church YOU show up at! Hey there War-el. Any chance you are on one of Harvest’s elders or maybe James himself? Because your words and posture sure look aggressive and bullying to the rest of us. Like a wolf attacking sheep who are just starting to escape. “When the righteous prosper, the city rejoices, when the wicked perish there are shouts of joy.” proverbs 11:10. In this case, when the wicked are exposed and their agendas of darkness are destroyed there are shouts of joy. Broad brusher. Be careful to lump every comment as coming from a jackal, you tread dangerously. To have an opinion that may disagree with yours is not wrong. God judges the heart. There seems to be so much opportunity to sin in large mega churches. Money and power corrupts, especially those that are greedy and like the sound of their own names. Hey Julie, I’m very Greatful for your courage and how you contend for the faith you are a role model to me ..Im sure this has cost you alot…. I am Greatful for your courage and integrity ….you did a Job that many have tried to do me included …and you finally tore the Curtain and exposed Jmac and his band of Weasels ….Thank You very much. She isn’t losing anything by posting these blogs. The people who experienced loss due to these posts were the staff of walk in the word who were all laid off. Why is no one talking about them? Forgotten, I’m sorry you, your friends, or your family member lost your job at Walk in the Word. That wasn’t due to Julie Roys, or Elephants Debt. Or anyone else other than James MacDonald himself. If the man had been truly upright, godly, humble and teachable he would have repented of his follies years ago and you’d all still have your jobs. The person who blows the whistle is not guilty of the foul, but rather the player who committed it. Hey War_E,…THE CHURCH still is Great ,and the True believers who attend at That building called Harvest will go on and still serve in THE BODY OF CHRIST and God will bless them…..Rember Harvest is a name …THE CHURCH is the body of Christ and is made up of individual parts and each part is a real Live person… and the people there have been Decieved by a weak Gutless Elder board a money grubbing Bully of a senior Pastor and a whole bunch Pastors that gladly put on “THE GOLDEN HANDCUFFS “and they have spiritually abused the the sheep for decades…cut em some slack thier very angry about it and need to vent. Thank you for your continued work, Julie. I think the Lord is calling those affected by what’s going on at Harvest to read Ezekiel 34, 35, 36, and 37. If Mike Collett or any of the other fake-elders show up on Sunday and do another one of their kumbaya-version holding hands and crocodile weepy tears and the “ohhh… we’re soooo sorry, we made mistakes, we’re gonna change *this time,* honestly, just you wait and see…” lying conniving dog and pony show like they did a few weeks ago, and for the last 30 years, I think I will stand up and scream, or puke, or both. The ALL need to resign. Yes, “Burned in Deerfield,” ALL Elders need to resign. The XLT needs to resign as well. That and the breaking up of campuses (which will be complicated due to debt and other factors) may give HBC a fighting chance. However, there are more disclosures to come, the full truth has not yet been reveals–let alone confessed–and we have no public evidence (yet) that the Elders won’t allow James to collect a big payout as he walks out the door. They “ALL” need to resign include the James Minions that are scattered through the US and Canada. There are still abusive Harvest Pastors out there like Todd Dugard in Canada who has set up a similar kingdom complete with abuse and nepotism – check the church website and count the relatives on staff. Yes to your assessment of Todd Dugard. Inexplicably, he wrote & posted an open letter on Facebook to the people of Harvest Bible Chapel Chicago, urging Congregants to stay under the (abusive) leadership, continue to tithe, and avoid social media. His letter also grossly mischaracterized the experiences and perspectives of thousands of people who have HBC, and (mis)applied Scripture to the HBC situation in ways that reveal either a shocking lack of understanding OR a selective revision of historical & current events. Regarding Mr. Dugard’s church–HBC Barrie–there are at least several relevant connections to HBC Chicago. Dave MacDonald (James’ brother) is an Elder, Jordan’ Donald (Rick Donald’s son) was a worship & youth pastor there for 7 years, and Travis Doucette (HBC Naples) was a member before he went to Florida. I have heard from more than a few former HBC Barrie folks who have their own account of abuse & nepotism. I hope those stories get told. afraid: I wanted to post food for thought because I actually used to attend HBC Barrie. Your concerns are valid re: nepotism etc. but I’m afraid you might be taking some things out of context, and not letting go of things that happened years ago. It’s such a mixed bag of feelings for me that I don’t want to come across as too critical of your concerns or of HBC Barrie on the other hand. As a former attender it stirred up emotion in me both ways – both to recognize that yes, those things are possibilities but also to defend my former church. Yes, it was kind of a microcosm of the HBC mothership a while ago, but a lot of things have changed. I haven’t attended for a few years but still have good friends there. You should know that I’m actually happy to see someone like James go or else, well, I wouldn’t even interact with this site. I’ve served under an actually abusive leadership (a little too free with alcohol, verbally abusive to volunteers and spouse, not being fully truthful about people who left and urging to “shun” them, watching very questionable material at 1am in the morning). Trust me, HBC is NOT that kind of church. I never saw this at all in Todd or HBC Barrie and I resonate with the desire for healthy churches. What I saw was “Hey, sometimes this seems like an old boys club” to be truthful. But I’ve also hung out at his place and they are a pretty laid back family. So yeah, maybe I saw leadership struggling with arrogance a bit. I have no idea the temptations and struggles that come with leading at that level. But what I also saw was love, tears of repentance, people kneeling before God just being open and seeking Him. The core of HBC Barrie was and is to see lives transformed by the Word of God. I’m writing as a guy who attends a good church, talking about another good church (note I didn’t say perfect). I saw a lot of changes for the better happen at HBC Barrie, and some of them had to do with the political internals that I didn’t really understand because I wasn’t involved with. I knew that a large group of people had walked out of a service way back in the day like 2010 or even 2009. I knew things were tough but I was in shock – “That’s not right” I thought. The painful truth is that church members disagree, and no church leader is perfect. My former pastor (and someone I count a friend) Todd Dugard is not. I tell you what he is though – growing. In humility, love for the church, passion for Jesus. If all pastors everywhere resigned who struggled with pride or the pedestal people put them on man we’d really be in trouble. It was a long drawn out process for James because he’s probably not one-dimensional. I’m going to say something that’s tough for me because he’s a pretty arrogant dude – but James has good in him, no doubt. But we love to create celebrity ministry leaders or our church culture does. Anyway, Todd reached out to me not too long ago and apologized for some off the cuff remarks he had made. Nothing serious but due to circumstances it hurt at the time. He is a good man. I would just say “Forget the political B.S., Harvest Anywhere”. It’s not the model we are called to follow. Perhaps nepotism does creep in when you try to give your kids the same opportunities you have. I’ve witnessed pastors giving their kids opportunities at different churches with different personalities. Maybe the safest thing to do is to say to them “carve your own way”, do the schooling etc. I don’t know. I’ve seen Joel grow into a great worship leader from when I just knew him when he was in high school. I don’t know Luke as well but he has gone to Moody and studied there. And Emily is loved by her dad and met Jordan Coros (her husband) in youth. He’s a young man, figuring out the whole pastoral thing and has seen the Harvest shift. He’s a promising speaker. Also, they are hiring a new worship director. Joel is just interim, although he could serve in a church as worship leader in his own right. I never thought I’d vent all this about church ministry but I have. And I’m tired of all the B.S. that goes on. I’m glad James was fired – it’s just good not for Harvest alone but for church in general. Serving on a leadership team outside of Harvest with an abusive pastor has not turned me off of church. I really hope no one minds me responding to this but I had to speak out as someone who attended. It’s the way I genuinely feel toward HBC Barrie – they are my brothers and sisters, and they may have a bit of the “mothership DNA” in them but I love ’em. When we all get to heaven and are perfected, we will realize those who were truly sold out for Jesus. Let’s move on from here and allow local churches to grow their own accountability and Christ-like cultures. <3. Man I rambled. I do appreciate Julie Roys and what she has brought up. James MacDonald better not walk away with the multimillion $$$ dollar severance as he swindles the church one last time that is rumored to be the case. Elders better not give in!!! I have heard lies from Rick Donald, Jeff Donaldson and Steve Huston enough times that they need to be out immediately too!!! All of you ex-staffers, why are you still afraid? Post here even if anonymously for now. Let’s tell the truth. Share your stories!!! The church is over $40,000,000 in debt. The debt was at $70,000,000 in 2013. The next step is to bring in auditor to perform a forensic audit. I would recommend one of the major 4 accounting firms. Spot on David. And hoping the lenders also seek an emergency order prohibiting the destruction of any and all Harvest records – including any and all communication among and between Harvest elders and insiders – past and present. Based upon the information to date in all of the blogs and media and interviews and released court documents, it appears that Harvest may have committed a massive interstate bank fraud regarding these loans. And due to the size and nature of this alleged conspiracy to defraud the banks, I am hoping that each and every Harvest elder is found personally and criminally liable for the loans as well. And, just as Harvest did to the TED wives, I am hoping the banks also file an immediate restraining order against the liquidation or diminishment of Harvest elders’ personal assets while these lawsuits and potential criminal charges are pending. It is one thing to butcher your sheep for nearly 3 decades, it’s a whole nother matter to screw over banks with an army of attorneys on staff — and the FBI on speed dial. I just read Julie’s latest article a second time and i’m totally stunned….Why are the Linquini spinded Elders at Harvest having such a hard time figuring out how to make things Right ,THIS ISN’T ROCKET SCIENCE it’s very, very simple The puppet Elder board Loved the Harvest Brand more than Christs word, and they need to repent and and step down from leadership and that goes for many of the pastor’s too…And James McDonald that slimy sleazy Snake oil salesman has made merchandise of the body of Christ and He and his family and his Henchmen Luke and Landon need to repent and resign and NEVER EVER take a leadership position in the CHURCH again, they all have proven that that can NOT be trusted….not easy to do when your a total Narcissist but really very simple. Hi Julie. I wrote lengthy comment yesterday afternoon, but do not see it posted. Not a big deal, but just curious as to why you chose not to post it. Was it too long? Offensive? Not on topic? Either way, great work on exposing everything that is going on at Harvest. I wonder if he would transfer funds from his grandkids’ college fund into his IRA and 401 accounts too. WOW. What’s it going to take for JM and his accomplices to stop, repent, and make much-needed restitution? Prison time? Seems like that’s where they’re headed. Can’t thank you enough, Julie, for your courageous and consistent digging for the truth! He’s backkkk! JMAC is back in Chicagoland strong-arming the elders to support him. Looks like he and the boys are ready for hardball! Hey James: Just so you know, destroying evidence is a FELONY! Did somebody say King Grifter MacDonald is back in the house? If any of y’all follow our brave friend Ryan Mahoney (co-writer at TED) on Twitter (@exHBCmember) he just tweeted an AMAZING archived video of MacDonald gleefully and arrogantly (as always) proof-texting a verse he so often uses to target and destroy people at Harvest that ask uncomfortable questions (i.e., How much debt are we in??.. You don’t believe in the Trinity??.. You make how much money? ?… You pay your sons how much? ?… You’re going to gamble in Vegas again this month? ?… You lied again about your mansion? ?… You just made yourself King of Harvest?? You ragefully slashed whose picture with a butter knife in a training course, say whaaat? ?… ad infinitum…). Anyhoo… as those type of question samples could go on for nine days straight… the point being — and you **really** need to see the short video clip — is that Ryan has handed the fake-elders all the tools they need to fire MacDonald & Sons before they themselves then move from fake to truly repentant and all appropriately resign. So you’re Ryan Mahoney then? Battles and politicking are likely going on behind the scenes. One would think that maconald has tremendous leverage. #1 govt bylaws are on his side. Can he be removed? Aren’t both of his sons on the XLT as well. #2 he has been pastor there for 30 years and has had the power and I influence of preaching (pulpit) and has built up a ton of goodwill. #3 likely no one in the church wants a messy separation. Will want macondald to leave willingly. If he gets removed and is messy a good portion of the church could leave? Has he or his sons signed Non disclosure agreements? Could any of them start a competing church in Chicago? For all of these reasons I think Macdonald stays on longer or until or unless they negotiate an expensive separation (which is too bad considering the debt harvest already has). Will be interesting to see what news stories come down the pike soon. 1. The $50,000 that James (unethically) gave via HBF to Mark Driscoll’s Trinity Church. Dave Wisen talks about this is his leaked latter, and it is also in the HBF audit notes. This was a very big deal to us and something we mentioned in our resignation letter to Elders in Nov 2017. 2. The connection (if any) between the $270,000 mentioned in the leaked Wisen letter and the $270,000 that former HBC Chief Information Officer Jeff Parham allegedly embezzled. This is how James operates. He has an idea but forces someone else to act it out so that he can sit back and maintain that he wasn’t the one that did anything to hurt anyone. From firing people to mistreatment and overworking of staff to stuff like what’s written in this article, he knows no bounds as long as he’s not the one that has to deliver the bad news. I am not an expert on anything related to Harvest but I do know that often people have a tendency to blame the messenger for bad news instead of dealing with the bad news. It’s hard to believe there are still MacDonald loyalists. One has to wonder – what exactly COULD MacDonald do, in their minds, to merit removal? There’s been a decades-long pattern of abuse. There’s been false repentance numerous times, followed by nothing changing. There’s been deception of donors and misappropriation of funds. There’s a stark lack of good fruit and an abundance of repeating pattern and practice of sin. There’s abundant evidence of MacDonald being a lover of money. He specifically and intentionally violated an unequivocal command of scripture with the lawsuit and then wrote a justification piece others can use to abuse people in the same way. There has been a campaign for many years to avoid any accountability and to structure the church so as to make him unaccountable to anyone. The church is deeply in debt, hemorrhaging members, and enduring wave after wave of PR disasters. This is all to say nothing of his theological drift. What, exactly, could disqualify someone if not all of this, elders? XLT? How will you answer for supporting and giving approval for someone who does these things? What will you tell yourself when he eventually pulls a Driscoll and flies the whole thing into a mountainside and moves south with all his money to start anew with false contrition. I am incredulous that they think there is still more to be done before MacDonald should be shown the door. In my opinion, there is only one reason the MacDonalds could continue to reign over Harvest – if it’s about them. His continued presence will Mars Hill that church before long. By pledging loyalty to him once again even after the lawsuits and everything else, the elders would be saying in effect that no one can lead them but MacDonald. The scriptural qualifications for those in ministry, the Bible’s commands… none of that matters. Harvest is about MacDonald. This is ironic to me because I heard MacDonald on the WITW broadcast trashing my pastor at the time for being a Calvinist. MacDonald roared that they don’t follow a man, they follow Jesus. It’s worth asking Harvest’s elders if that’s really true. Who do you follow? Miranda, you you are 100% right .its totally mind blowing that anyone who knows even a fraction of the Bible could follow these sleazebags…I’ve come to believe that Roman’s chapter 1 is talking about things just like this, when people refuse to acknowledge sin as sin, and make excuses for sin God TURNS THEM OVER…….Not good.